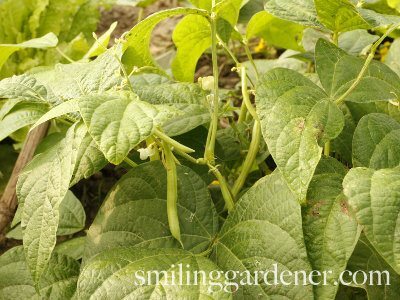 H: Hey guys this is H, Phil’s sister from smilinggardener.com and today we are talking about preparing your garden for winter. 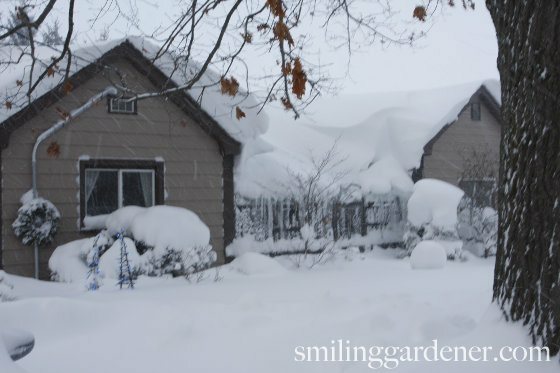 How do we know it’s time to winterize our garden? Phil:	I do it right before it’s going to snow. H: What’s the most important thing for preparing the garden? Phil:	For me it is like one really big step and that is doing something to protect your soil over winter. There are some few different ways you can go about doing that. H:	What’s the easiest thing to do? Phil:	Yeah. Like if I guess if we were talking about like a vegetable garden or a perennial garden, certainly one thing you could do is just leave your plants there, your tomatoes, your peppers, your everything, just leave them right there and they will just die back, the nutrients from the plant will go back into the root system of the plants and the top will just die back and become a mulch for the soil and all those nutrients and all those organic matter will makes its way back into the soil and it’s not the most esthetically pleasing, but if your garden is kind of back somewhere where it doesn’t matter and now it will be easiest way to do it and that’s how nature would do it too, right. H: But what if your garden is in a really high profile area and you don’t want it to look that messy? Phil:That’s what I have this garden here, its right up by the house and it’s like I try to keep it as a nice garden. So then what I do is take all of that stuff and put it into the compose bin because I really want to get the nutrients out of that and get the carbon, the organic matter out of that. So I take all that and put it into a compose bin and then I like to plan a carver crop. Phil:	If you are not going to plan to carver crop, you want something to protect our soil and so that’s where mulch comes in and by far the best mulch and the most natural mulch is leaves and this is the time of year that we actually get them for free, especially if we have been clever enough to planting and make wild leaves. H: I think that’s it. Is there anything else that you wanted to say about preparing the garden? Phil: I did put a few more tips on the blog, so people are watching on YouTube, they can go over to this blog and there is some extra brownie points, there is some extra things you can do to really improve this process of soil building in the fall. Phil:	Hey you know what I should say because you don’t know how to say it yet is for people who haven’t picked up the 15 vital lessons for becoming a better organic gardener, you can do that right on the Home page of smilinggardener.com and that’s where I teach a whole bunch of really cool tips. H:You are gardening for the winter. I’m preparing my garden for winter. The most important task for preparing a garden for winter is getting that soil good and covered. When preparing the vegetable garden for winter, and the flower garden, if aesthetics aren’t important, you can simply allow your plants to die back naturally and cover the soil, just as it happens in nature. Their nutrients will be returned to their roots systems and to the soil for use next spring. After these beans are picked, I can just leave the plant right where it is. If you want it tidier, which I do because my organic vegetable garden is right up by my house, you can compost all that organic matter and use some other plants to cover the soil, i.e. a cover crop. Grasses and legumes are commonly used for this, and more recently various brassicas, but lots of plants will do the trick. If you don’t put in a cover crop, be sure to mulch like crazy in order to protect the soil, roots, insects and other organisms over winter. Yes, that means some “pests” will be protected too, but that’s okay – we’re protecting their predators and many other important organisms at the same time. Leave the stubble OR cover crop the beds OR mulch the beds. OR, do any combination of the above. When I’m preparing garden for winter, I put the stubble into my compost bin in early fall, plant a cover crop, and then mulch on top of that cover crop towards the end of fall. Luckily, the best mulch on the planet is free this time of year: LEAVES (provided you’ve been forward-thinking and using plants that make lots of it, or clever enough to live downwind of someone with a big tree). Rake those leaves right into the beds. If you have too many, or if your beds are already covered in groundcovers, mow the leaves right on the lawn or put them into a compost or leaf pile. Definitely don’t put them at the curb – they are valuable! Of course, if you live in a climate with rainy, wet winters, and you’re growing plants that aren’t suited to that, you may not want to cover those plants with moisture-retaining mulch (yet another reason to choose native plants). In that case, compost them or make leaf mold. So covering your soil is the most important winter prep tip. There are a few extra steps you can take if you’re a browner like me. 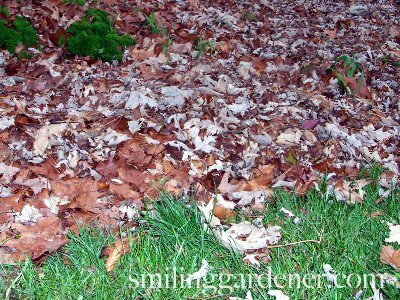 Especially if your soil food web is lacking, a light dusting of compost on your mulch will help break those leaves down. But personally, I usually put down my compost before I put in my cover crop or mulch. A light dusting of 5 pounds of calcitic lime per 1000 square feet stops certain diseases from taking root, and since the vast majority of soils need calcium, this is one of the few minerals I don’t mind recommending without a soil test. A liquid concoction that includes a microbial inoculant and some biostimulants also helps break down residues. I don’t use much fish fertilizer anymore, but it is great this time of year to bring some nitrogen into your mulch to get that decomposition going. Of course, after all this we can get into extending the growing season into winter with hoop houses and other structures, which is what I’ve recently been working on for my online gardening course. But when it comes to the basics of preparing a garden for winter, covering that soil is rule number one. Any questions? Do you recommend using liquid microbial inoculants before covering your garden with a layer of compost/leaves, or after (or both)? Hi Cathy, I spray it on last to cover the leaves. Protecting the soil-food web in raised beds can be even more of a challenge. It gets exposed to an enormous number of freeze/thaw cycles during a Colorado winter, and winds often remove mulch coverings. I find it helps to make your beds deep (12”), and to leave a lip to hold in the mulch. Ya, that’s a great idea. I found for my one garden that’s in a windy area, I had to put up a temporary fencing to keep the leaves in, until some plants grew to knock down the wind. What is calcitic lime and where can I get it? It is basically calcium carbonate. It’s a kind of lime that is high in calcium, low in magnesium, which is what we want. You may or may not find it in a regular garden center. You may have to go to a farm supply/fertilizer supply store. Sorry if the question might sound silly but I am fairly new to gardening. If I was to leave my crop in to decompose till next spring and also cover it with leaves how do I deal with it in the spring, just rake, till or will everything including the roots decompose. That’s actually a great question. It depends on the crop and on the abundance of your soil food web as to how broken down the crop will be by next spring. If you knock the plants over and get some leaves on there, a lot of the residue can be taken care of, but there will still be some stalks and stems that can be incorporated into the soil in spring or into the compost. Hi, we have a good weather in winter which we us it to plant our crops whereas in summer it’s to hot to plant any thing since its a desert. How should I handle the sandy soil and make it better for gardening? Adding organic matter will be most important – compost, aged manure, etc. Also mulching the soil surface with leaves or straw is very helpful if you can do it. Hi, thanks for sharing these tips, very helpful! I actually purchased some fleece covers for some of my plants this past winter, and they really helped. I mean it doesn’t get SUPER cold where I am but definitely low temperatures. I purchased them from Kinsman. We have been saving the straw and chicken poop for the past 10 months from our coop. Can this be applied to our garden when we till it up? I’m not sure how long the compost has to break down. You shouldn’t be able to recognize the ingredients anymore. It should look almost like soil. And it shouldn’t be too hot in the middle of the pile anymore – otherwise it’s not done. I plant a cover crop at the end of summer, 6-8 weeks before freezing temps. I use any number of grasses, such as rye or ryegrass or oats. And I also use legumes such as clover or vetch. I generally combine 1 grass and 1 legume. 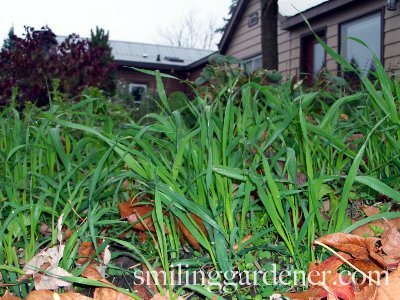 The grass comes up fairly quickly, while the legume does more growing in the spring. Then, 1-4 weeks before planting/seeding in the spring, I take a hoe or tiller and lightly turn it into the top couple of inches of soil. If there’s excess, it can go into the compost. I had black fungus spots all over my oregano plant this summer and it spread to my basil. I read that I should pull it up and dispose of the plant and not plant oregano back in that spot next year. Do you agree that is the best thing to do and would you recommend adding calcitic lime to this area in the fall as well to suppress the fungus from coming back into my herb garden next year? Also, do you add compost to your garden in the fall under mulch and again in the spring or just fall? Yes, it does make sense to plant the oregano/basil elsewhere. It also makes sense to work on improving the soil. Calcitic lime is usually a good idea, only in small amounts (10 pounds per 1000 square feet, unless you have a soil test saying you need more), although that may not be the answer for suppressing the lime. But that, along with broad spectrum fertilizers, microbial inoculants, and organic matter, are usually quite helpful. I add compost whenever I have it – spring, fall, or both.